I had a chance to meet my evil twin a couple of weeks back. Or maybe I’m the one that’s evil… Either way, we seem to be kindred spirits, and while our time together was short, it was a reminder of everything that is good in the makerverse. Darin White was introduced to me as the founder of the Makerspace at the library of Laurier University in Kitchener Waterloo, Ontario. Now, he’s got many more creds on his CV including founding and owning makebright, but I’m always interested in investigating the intersection between libraries and makerspaces. And it was great to see what can happen in a few short months with a small space, a couple of bucks and a guy with his head screwed on right. 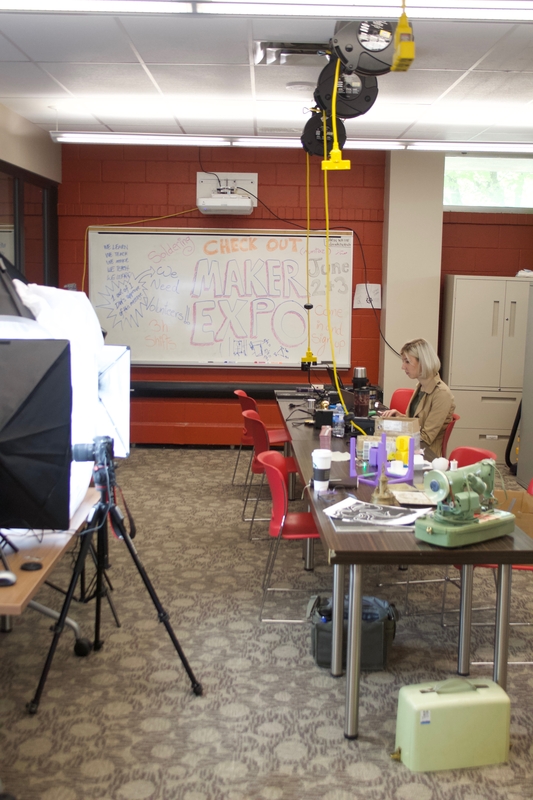 Last October, the doors opened on the makerspace at the Laurier University Library in a fairly typical way. The admin had a small space, the idea that they wanted a makerspace and a 3D printer or two. Seven months later, there is a busy room with a bunch of different tools, and, even the 3D printer is plugged in. But what’s wrong with that last sentence is what this post is all about. It’s so easy for discussions of makerspaces to turn into talk of cool technology and epic constructions. What kind of 3D printers do you have? What CAD software do you use? What have you done with an Arduino lately? What did you make on that lasercutter? But the truth is, none of that matters. When Darin talks about the makerspace at Laurier, he talks about people. He talks about students who have stumbled into the space for a variety of reasons all sharing curiosity about something. They want to learn how to make something and Darin is there to support them. He’ll find ways of getting the right tools and materials to feed that curiosity with only one caveat. When thatperson with the question figures things out, they need to bring five friend to the makerspace to be taught how to do the same. The student becomes the teacher and the community grows. The space has a 3D printer, and a camera, and a light box, and a sewing machine, and paint, and knitting needles. All of these tools are there because of some members’ curiosity and the sharing of learning. I talk a lot about the need for library spaces to bring people together around shared resources, and with makerspaces, shared tools. And there is truth to that. 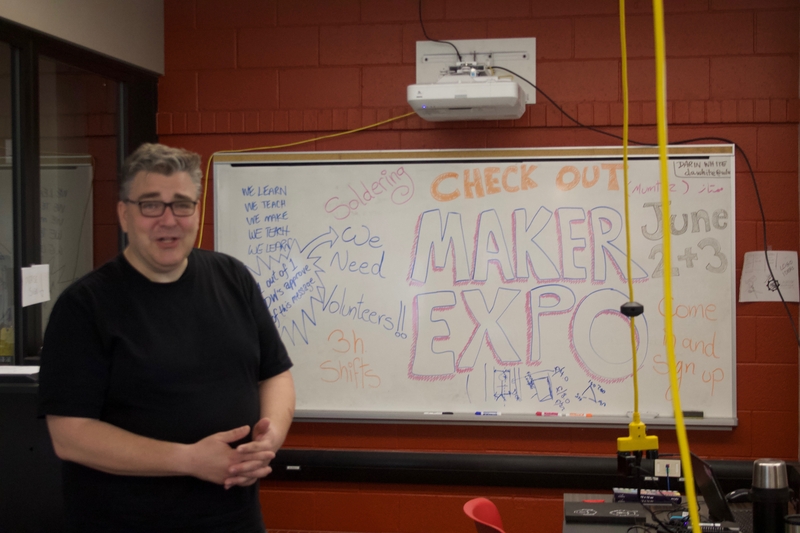 But what Darin has reminded me about makerspaces being about curious people who happen to make things is what the connections with libraries is all about. Libraries have always been about people with questions, inquiry, gathering around learning. Thanks, Darin. I needed that! BTW, if you’re in the neighbourhood on the weekend of June 2nd, check out the KW Maker Expo!